Transitioning to Controller Based Gaming. My gaming life started with a mouse and keyboard. It was the late 80’s and I, still a youngster in the low single digit age range, was thrust in front of a PC and taught how to access the one thing I’d be interested in: the games. For the most part these games were solely keyboard based affairs but as time went on more and more mousey titles made their way into my gaming library. Whilst I did spend much of my pre-adolescent life playing numerous games on consoles once I was granted my very own PC it became my gaming platform of choice and has been for the better part of 2 decades. This has meant that playing games on a console/controller has become somewhat foreign to me, feeling clusmy and awkward. However after spending an inordinate amount of time with a particular console based title I’ve managed to become quite competent, so much so that playing the same game with a mouse and keyboard felt incredibly weird. The game is, of course, Destiny which is a first person shooter. FPS titles, whilst not being the worst games for controllers (I’d probably go with RTS for that one), are one of the games I feel are much better played on a mouse and keyboard. This is mostly due to the quick and precise movements you can accomplish with a mouse and keyboard, something you really can’t achieve on a controller. Whilst my feelings on this matter haven’t changed much after spending 150+ hours in Destiny I have come to appreciate the skills required to use a controller effectively and, more importantly, the design requirements for making a FPS title work well on a controller. The fundamental difference between a controller based FPS and a mouse and keyboard one (apart from the obvious) stems from the difference in muscles required to perform the same functions. When you’re using a mouse and keyboard many of the motions are completed using your wrist and rest of your arm. By comparison the controller uses your thumbs, a drastically different set of muscles that share almost no function between the two platforms. This is why jumping between your preferred platform and the other feels so clumsy, you’ve lost all the muscle memory you’ve built up and have to redevelop all those habits all over again. Suffice to say the span of most games doesn’t give you enough time to accomplish this and I only found myself becoming competent after 40 hours or so of dedicated practice. 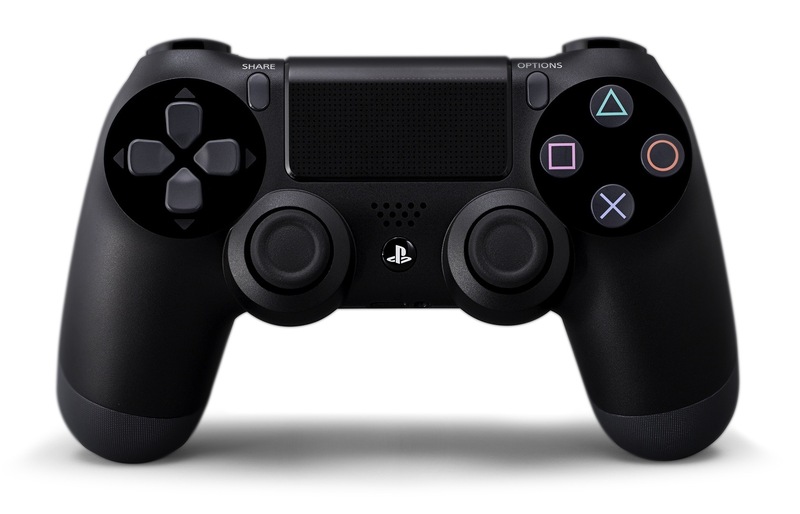 There are compensations made for the platform however, most notably in the form of the subtle (or sometimes not-so) auto-aim which attempts to smooth over the imprecision and slow response times of the analog thumbsticks. Over time you get to know when it will kick in and how to use it to maximum effect but it’s definitely one of the harder aspects to get used to if you’re transitioning from a mouse and keyboard. Each game implements their own version of this differently as well which can make developing proper muscle memory difficult if you’re playing a number of games. There are others of course (like deadzones and turn rates) which factor into it as well which, as I found out, can actually preclude a title from working well with a mouse and keyboard. I know this because I bought myself a CronusMAX adapter which allows me to use my PC mouse and keyboard as an input to my PlayStation4. Since I have a capture card in my PC this allowed me to play Destiny like any other PC game, albeit with some noticeable ghosting in high action scenes, but it’s very playable. This was well after I had managed to become somewhat decent with the controller however and I quickly realised that attempting to transition to the mouse and keyboard at this point was likely a lost cause. I had simply gotten used to playing it a particular way and no matter how hard I tried to get the mappings and sensitivities just right I simply couldn’t do so. Once another console FPS comes out that, for some reason, doesn’t see a PC release I might give it a go again but for now I’m far more comfortable playing Destiny with a controller than I am with a mouse and keyboard. It’s been interesting to see how my skills on the controller have developed over the past couple months as it was honestly something I’d never overcome and necessitated the purchase of the CronusMAX to alleviate it. The awkwardness I felt using my mouse and keyboard then was incredibly surprising and was what spurred me to continue plugging away with the controller in the hopes of getting better. Since then I’ve been able to compete quite well in all aspects of Destiny, even some of those which I thought were just going to be beyond me (read: PVP). So whilst I haven’t become a full convert to the controller world I do see where it fits into the grand scheme of things and appreciate it when it’s done well. The Build, The Results and The Tribulations. So last week saw me pick up the components that would form my new PC, the first real upgrade I have bought in about 3 years. Getting new hardware is always an exciting experience for someone like me which is probably why I enjoy being in the datacenter so much these days, with all that new kit that I get to play with. I didn’t really have the time to build the PC until the weekend though and so I spent a good 5 days with all the parts laid out on the dining table beside me, begging me to put them together right now rather than waiting. My resolve held however and Saturday morning saw me settle down with a cup of coffee to begin the longest build I’ve ever undertaken. I won’t go over the specifications again since I’ve already mentioned them a dozen times elsewhere but this particular build had a few unique challenges that you don’t see in regular PCs. For starters this would be my first home PC that had a RAID set in it, comprising of 4 1TB Seagate drives that would be held in a drive bay enclosure. Secondly the CPU would be watercooled using a Corsair H70 fully sealed system and since I hadn’t measured anything I wasn’t 100% sure I’d be able to fit it where I thought I could. Lastly with all these drives, watercooling and other nonsense the number of power cables required also posed a unique challenge as I wasn’t 100% sure I could get them all to fit in my mid-sized tower. The build started off quite well as I was able to remove the old components without issue and give the case a good clean before installing bits and pieces in it. The motherboard, CPU and RAM all went together quite easily as you’d expect but when it came time to affix the mounting bracket for the watercooling I hit a bit of a stumbling block. You see the motherboard I purchased does you the favor of having the old style LGA775 mounting holes, letting you use old style coolers on the newer CPUs. This is all well and good but since the holes are only labelled properly on one side attempting to line up the backing plate with the right holes proved to be somewhat of a nightmare, especially considering that when it did line up it was at a rather odd angle. Still it mounted and fit flush to the motherboard so there was no issues there. The next challenge was getting all the hard drives in. Taking off the front of my case to to do a dry fit of the drive bay extension showed that there was a shelf right smack bang in the middle of the 4 bays. No problem though it looked to just be screwed in however upon closer inspection it showed that the screws in the front could only be accessed by a right angle screw driver, since the holes that needed to be drilled for a regular driver hadn’t been done. After attempting several goes with a drive bit and a pair of pliers I gave up and got the drill out, leaving aluminium shavings all over the place and the shelf removed. Thankfully the drive bay extender mounted with no complaints at all after that. Next came the fun part, figuring out where the hell the watercooling radiator would go. Initially I had planned to put it at the front of the case but the hosing was just a bit too short. I hadn’t bought any fan adapters either so mounting it on the back would’ve been a half arsed effort with cable ties and screws in the wrong place. After fooling around for a while I found that it actually fit quite snuggly under the floppy drive bays, enough so that it barely moved when I shook the case. This gave me the extra length to get to the CPU whilst also still being pretty much at the front of the case, although this also meant I could only attach one of the fans since part of the radiator was mere millimeters away from the end of the graphics card. With everything all put together and wired up it was now the moment of truth, I took a deep breath and pressed the power button. After a tense couple milliseconds (it seemed like forever) the computer whirred into life and I was greeted with the BIOS screen. Checking around in the BIOS though revealed that it couldn’t see the 4 drives I had attached to the external SATA 6Gbps controller so I quickly booted into the windows installer to make sure they were all there. They did in fact come up and after a furious 2 hours of prodding around I found that the external controller didn’t support RAID at all, only the slower ports did. This was extremely disappointing as it was pretty much the reason why I got this particular board but figuring that the drives couldn’t saturate the old SATA ports anyway I hooked them up and was on my merry way with the Windows install being over in less than 10 minutes. I’ve been putting the rig through its paces over the past week and I must say the biggest improvement in performance comes solely from the SSD. The longest part of the boot process is the motherboard initializing the 3 different controllers with Windows loading in under 30 seconds and being usable instantly after logging in. I no longer have to wait for things to load, every program loads pretty much instantaneously. The RAID array is none too shabby either with most games loading in a fraction of the time they used to. Sadly with all games being optimized for consoles these days the actual performance improvement in nearly every game I’ve thrown at it has been very minimal. Still Crysis 2 with all the settings set to their maximum looks incredibly gorgeous even if I can’t seem to make it chug even on the biggest multi-player maps. The new mouse I bought (Logitech G700) is quite an amazing bit of kit too and the TRON keyboard my wife got me for my birthday just adds to the feeling that I’m using a computer from the future. Overall I’m immensely satisfied with it and I’m sure it’ll prove its worth once I throw a few more programs at it. Speaking of which, I can’t wait to code on that beasty.